“We take the coolest kids in the playground and build our campaigns around them,” says social entrepreneur and media guru Matt Hay. His agency, LatimerGroup, is part of a rapidly growing social enterprise alternative to mainstream media and advertising, known as co-creation. Brands such as Paul Smith, Procter & Gamble, ITV and Boots are increasingly turning to providers with a social purpose, not just a business one, and the appeal of these social enterprise agencies isn’t just a box-ticking exercise for corporate social responsibility. These clients are desperate to reach young people and these agencies offer a unique way of doing that. The agency also uses the co-creation model to produce broadcast-quality content and campaigns that engage youth audiences on topics such as gang grooming, radical extremism and eating disorders. The content is aimed at young people and is distributed by a network of “key influencers”, including bloggers, journalists and mainstream media outlets. Each piece of co-created content provides key skills development and work experience to the young people involved in its production. They can also open up further career opportunities in TV production, public relations or advertising. LatimerGroup employs young Londoners from a variety of backgrounds, including those who have been referred from a youth offending background. “A lot of the people here wouldn’t take the traditional route out of school and university. That means it can be hard for them to get into the media or advertising industries, despite the intense talent these guys so often have,” says Hay’s business partner, Jack Woodcraft. In order to expose their young employees and youth network to the wider industry, LatimerGroup invite top industry professionals to give a monthly “Latimer talk”. Directors of hit shows, such as Black Mirror, Misfits andThis is England, and Bafta-winning documentary-makers have all attended these events. “What’s interesting is that, at first, we were getting the speakers in mainly for our benefit, but now there are people asking to speak at the events, because they know that we have access to a really interesting and talented group of young people,” says Woodcraft. Having produced over the last few years a series of groundbreaking campaigns that aim to educate on serious topics, the agency is now working with brands on product-led advertising campaigns. Sony and Paul Smith are among their clients, both eager to understand how they can market to younger clients in a world of social media, mobile apps and YouTube channels. “New media has democratised things. Kids in their bedrooms can get more views on their YouTube channels than prime-time TV programmes – brands want to tap into that,” says Hay. Livity, a youth engagement agency that specialises in marketing, is using a similar model of co-creation to create campaigns for clients such asChannel 4, who used the agency when they wanted to promote gritty street drama Top Boy. Youngsters working at the agency launched a Twitter advertising plan, released a mixtape featuring music from the show and created extra video content for the Channel 4 YouTube channel. Based on social media monitoring reports, the show was the most talked about in Channel 4 history, receiving more than one million views on the Channel 4 website. “We’ve built a big base of young people that we can draw on for campaigns like this,” says Michelle Clothier, managing director at Livity. “We work with kids who have been affected by gang crime or domestic violence, people who have been referred to us by local authorities and charities. The word then spreads among their friends. Then their friends want to work here too. “I met my business partner at an industry networking event in 2001. We had both hit a bit of a strange spell in our advertising careers; we were a bit disillusioned. I guess we wanted to stop selling chewing gum, fizzy drinks and trainers to young people and do something with a bit more purpose. The agency regularly employs young people in training schemes at its 44-strong head office in Brixton. “We want to work with really cool young people to make amazing content. We don’t want to be seen as just a bunch of do-gooders: we are giving brands a great return on investment, and making campaigns that are truly memorable. 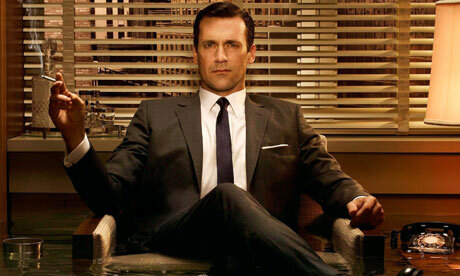 via Moral Mad Men: how social purpose media and advertising agencies are winning business | Guardian Social Enterprise Network.